Among the hundreds of Palestinian villages that were evacuated between 1947 and 1951, there is one whose descendants are actually getting close to fulfilling their right of return. 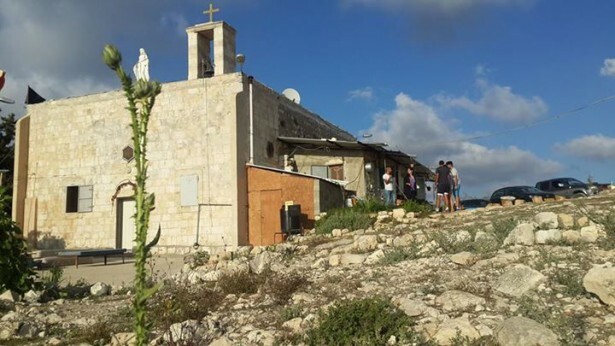 In an unprecedented case, the demolished Christian village of Iqrit should soon be connected to Israel’s electricity grid. This comes just as a group of Iqrit’s young descendants mark three years, this August 5, of continuously inhabiting the church in their otherwise destroyed village. 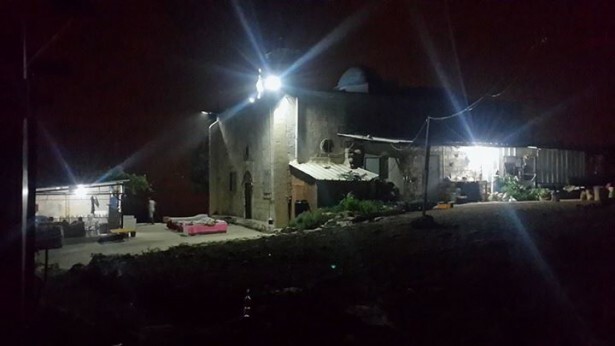 Iqrit sits atop a hill in the Western Galilee, just a few kilometers south of the Lebanese border. In October 1948, as part of Operation Hiram, the then newly established Israel Defense Forces drove out the population of about 500 mostly Christian Palestinians living there. According to Israeli historian Benny Morris, the operation intended to create an “Arab-less border strip” along Lebanon to serve as a “security belt.” This was part of the larger ethnic cleansing that displaced hundreds of thousands and is remembered by Palestinians as the Nakba (Arabic for catastrophe). Jewish Israelis remember the same event as their War of Independence. The Nakba is marked on May 15, the day Israel was established in 1948. Many of the millions of today’s ethnic Palestinians continue to fight to return to their families’ lands, a right first codified in United Nations Resolution 194 in December 1948. Israel has not complied with this resolution and its enforcement is a primary demand of the nonviolent Boycott, Divestment and Sanctions campaign known as BDS. Many Palestinians around the world and in occupied Palestine are barred from simply visiting the land where their families are from, making on-the-ground organizing out of the question. Returning remains a distant dream for most. While some Iqritis were sent north to Lebanon, the majority were internally displaced and now hold Israeli citizenship. Today, there are over 400 Iqriti family heads dispersed throughout northern Israel in cities and villages such as Haifa and Rame. The latter is where most of the villagers were brought at the time of evacuation after being mislead into believing they could return home two weeks later. The story of the Nakba is common to Palestinians. Iqrit, however, is unique in that its villagers brought their case to Israel’s Supreme Court and obtained a decision in July 1951 that legally granted them the right to return to their homes. The IDF, however, did its best to render that impossible. A few months later, on Christmas Day, they surprised Iqritis by bombing their entire village of about 100 homes. All that remained was Iqrit’s church at the top of the hill and their cemetery near the bottom, both still there today. Yet, despite this and 67 years of various setbacks, Iqritis have not allowed Israel to sweep the 1951 ruling under the rug. Another major legal point in their favor is a 1994 ministerial committee recommendation that further reinforces their right to return. Late Prime Minister Yitzhak Rabin appointed a committee in 1992 concerning the cases of both Iqrit and nearby Kufr Bir’im, pairing these two Christian villages for reasons that remain unclear. The recommendation states, “there is no reason to prevent the displaced villagers” from returning and “it is the government’s duty to assist them in doing so,” as well as to provide compensation. It was never ratified and Rabin was assassinated by an Israeli ultranationalist in 1995. The following year marked the beginning of the reign of current right-wing Prime Minister Benjamin Netanyahu. According to Nemi Ashkar, chairman of the Iqrit Community Association, or ICA, Israel claims that allowing Iqritis to return would set a precedent for similar appeals from other villages. “But this fear of precedent is not really valid [from the perspective of Israeli law],” he argued. There is no other village possessing Israeli legal support like Iqrit does — the most significant being the 1951 ruling and 1994 recommendation. At the time of the Nakba, according to Ashkar, Iqritis “simply got good advice” to go to the then newly established court and have managed to keep themselves on Israel’s agenda ever since. Furthermore, there has been no Israeli development on Iqriti land inhibiting their return, as is the case with many other Palestinian villages in Israel proper that have been overtaken either by Jewish Israeli villages or Jewish National Fund forests. These forests occupy the majority of the horizon looking out from Iqrit’s hilltop with Jewish villages also in sight — the nearest one being Shomera and its IDF base immediately across the road. Aside from one man in Shomera who brings his cattle to graze on their land, Iqritis have no problems with their Jewish neighbors. Every year since 1995 — with the exception of 2006 due to Israel’s war with Lebanon — the adults of Iqrit have organized Roots Camp — an educational gathering for the youngest generation of descendants, who have not yet gone off to college. Since these youths are raised in the Israeli education system, the camp fills a narrative gap that Israel’s Ministry of Education tends to neglect. In fact, Netanyahu banned the word “nakba” from textbooks, essentially banning Palestinian children from learning the history of their families’ experiences, as well as preventing Jewish Israelis from being exposed to the narrative. Netanyahu’s Nakba Bill also penalizes government bodies and institutions for commemorating the catastrophe. Samer Toume, a 25-year-old Iqriti graduate student of biomedical engineering at the Israel Institute of Technology in Haifa, explained how Roots Camp combats Israel’s exertion of power through education by saying, “History books are written by the ones who can control what is taught and what is not taught. 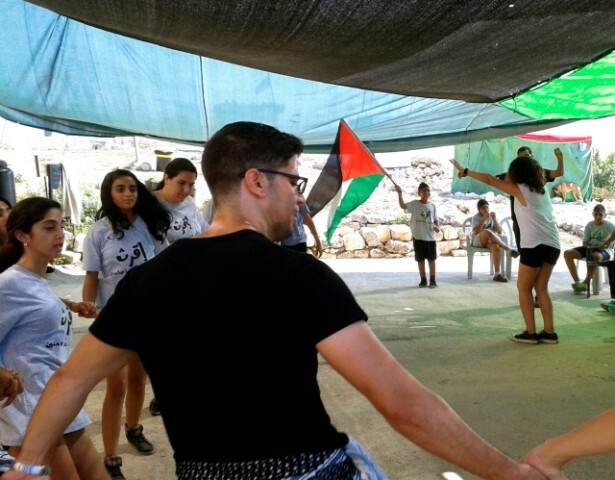 So, this camp teaches people about what nobody else teaches them,” including different aspects of Palestinian history and culture, “mainly through the story of Iqrit.” This year’s camp runs from August 18-22. The villagers are also always open to anyone, Palestinian or otherwise, who wants to learn about Iqrit. Classes of Jewish and Arab students, as well as international tourist groups visit frequently. Toume is part of the core group of about 15 third-generation-displaced Iqritis — mostly working students in their 20s — who decided, during their camp on August 5, 2012, that they had to return for good. They have sustained a constant presence since then, taking shifts 24/7 and sleeping in a room attached to the church or just outside of it under the stars. Many others who do not sleep there still visit frequently and are actively involved in other aspects of organizing, such as for the annual camp, cultural or political events and Christian holiday gatherings. Dealings with the government are usually handled by Iqritis from the second generation of displacement. The annual Roots Camp also teaches about Iqrit’s natural environment, passing down knowledge about how to nurture the plants that have survived since before the demolition. This includes fig and olive trees among others, and soon they hope to grow tobacco again. “Our grandfathers were known for their good tobacco,” Toume said. Unfortunately, even the plants of Iqrit are under scrutiny by the Israel Land Administration, or ILA, which claims ownership over the land. The villagers are prohibited from rooting anything new in or on the land. No “structures,” no plants, not even flowers. For instance, at the last camp in August 2014, one group of kids planted about a dozen trees outside of their cemetery, only to be greeted less than an hour later by a pick-up truck ready to investigate and soon uproot them. This is a regular occurrence. Every couple weeks — or whenever the authorities hear about any sort of activity, as they somehow always do — officers come prepared with cars and trucks to remove anything diverting from the status quo. Sometimes officers randomly stop by or a drone cruises through the air. In June 2014, three of the core on-the-ground activists were — according to other group members — arrested in an extremely unprofessional and unnecessarily violent manner. Jerius Khiatt and Walaa Sbait were kept in jail for two nights and Nidal Khoury was kept for three; Khiatt and Sbait were sentenced to house arrest and then prohibited from visiting Iqrit for several weeks. While such harassment and intimidation by authorities is not unusual, the Iqritis remain undeterred. Their church — still standing, but surrounded by rubble — is considered to be a symbol of their immovable presence. Right now, it is powered by four solar panels — their second set, after their first was mysteriously stolen — and a generator when needed. In April, Iqrit was finally granted a Supreme Court decision permitting them to be connected to the electricity grid. Ashkar is one of five who has been spearheading this request for electricity. The case has been ongoing for years and he tends to it on a daily basis, but remains optimistic. “We see the progress, and we are satisfied with what is happening,” he said. They are in the process of mapping and the Israel Electric Corporation has a working plan. He expects to see more conclusive progress in the next three months. 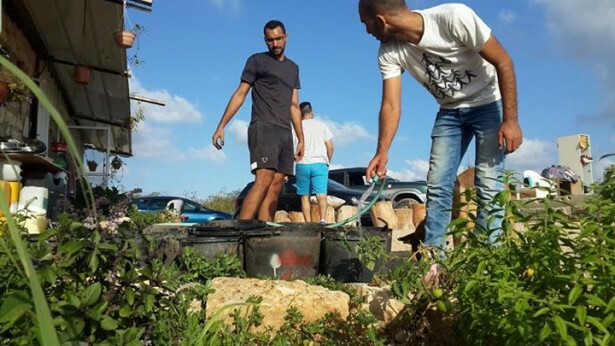 Iqrit has been connected to Israel’s national water system since 1971, when the villagers received permission to be buried in their cemetery. Their next legal focus after receiving electricity will be to bring the cemetery’s land back under their legal ownership. This is already underway and will represent yet another step towards their eventual full return and rebuilding of the village, which they still unreservedly believe they will soon achieve. Twenty minutes from Iqrit lies Kufr Bir’im, the one other village included in Rabin’s committee recommendation. Inspired by the return to Iqrit, activists attempted to do the same at Kufr Bir’im in 2013, but with less success, as their return only lasted about a year. They were subject to multiple raids by the ILA and were cut off from electricity, gas and water. They were eventually prohibited from visiting their own church, which is their only undestroyed building as well. Their cemetery has been vandalized several times. Iqrit is an inspirational anomaly. Only time will tell how their case will influence the wider struggle for justice among Palestinians. Yet, despite the exceptional legal advantage that Iqrit has on paper, Ashkar said their case shows that they “are still fighting the war.” Iqrit may serve as an experimental model for other returning villages to learn about not just how to organize, but also how and when to negotiate with authorities — and to what extent they should negotiate with authorities at all, given Israel’s track record when it comes to following the law, not to mention its long list of discriminatory laws. Toume discussed the challenge of keeping up such an effort on the ground despite all the powers working against them. “You have to have a lot of energy and want very much to do this for three years,” he said. “It is obvious that young people prefer to stay in Haifa and drink beer in a bar with their friends than to come here and try to do something.” He somehow finds the time to be particularly active, staying there regularly in between his studies and working on his two medical start-ups from a space in the back of Iqrit’s church. Working students are very much at the foundation of the village’s on-the-ground activism. Ashkar believes that Israel hopes the Palestinians’ yearn to return will die with age. Within the next decade, they will be at the fourth generation of displacement. It’s as if the authorities are stalling, expecting the case to weaken with time, waiting for them to “forget [their] demands.” If this is what the Israeli government is hoping for, they are likely in for disappointment, as the Iqritis, it seems, are only gaining strength and speed with age. August 5 marks three years since the core group declared their permanent return to Iqrit. Soon, if all goes according to plan, there should be an Israeli-powered light shining at the top of their hill. The youngest descendants are not only receiving education about their people’s history for the first time — a history that the Israeli government tries to ban them from learning — but they are also creating their own stories on their families’ land. Iqritis are clearly unrelenting in both their legal and on-the-ground organizing to hold their government accountable. Much like their church, they will not be moved.